As part of our ongoing celebration of the conclusion to Fairy Tail and all things Hiro Mashima, on October 3 Kodansha Comics will be releasing in one fell swoop the entire 35-volume run of Mashima’s original fantasy-action breakout hit, Rave Master. 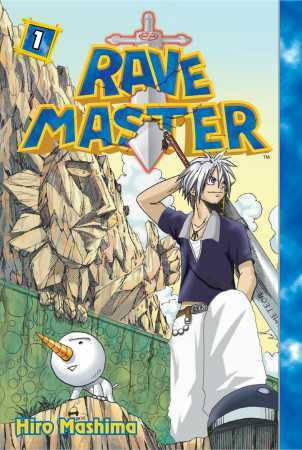 Originally one of the bestselling titles published by Tokyopop, Rave Master has been out of print for almost a decade, but now all 35 volumes are back and available for preorder at all of our digital retail partners: BookWalker, comiXology, Crunchyroll, Google Play, iBooks, Kindle, Kobo, and nook. We're also running a special promotional preorder price—more than 40% off cover price—for every volume!